INFO: If you’d like to read about Atomic Deployments in detail, check out our feature here. /current - the directory to which your web server points. It contains a symbolic link to the current website version in the /releases directory. /releases - contains the history of uploaded releases. For each version, a directory with the name of the release tag is created. This allows for a quick rollback of changes. 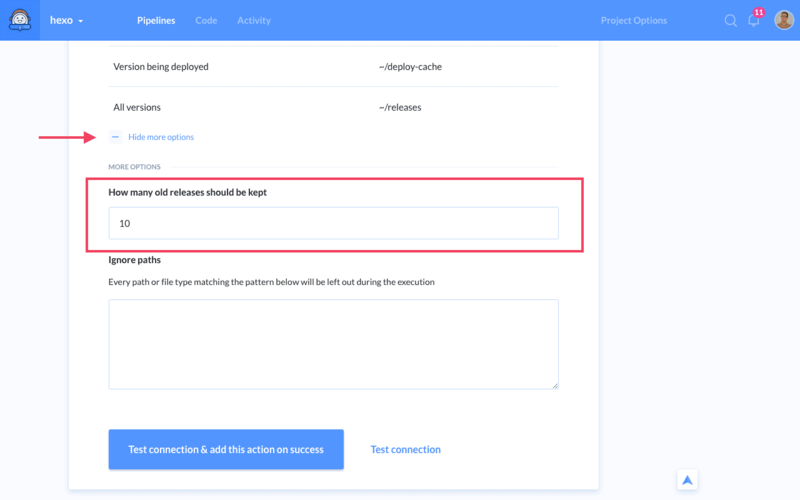 WARNING: Buddy only deploys files resulting from the changeset between the current and uploaded revision to the /deploy-cache folder. There’s no need to clear the cache on every deployment.